•Heavy-duty weatherproofed MDF cabinet with 2.5mm thick aluminium coating and corners in black zinc alloy. •Sturdy aluminium tube legs with strengthening crosspanels in aluminium-effect steel, coated with anti-rust finish. 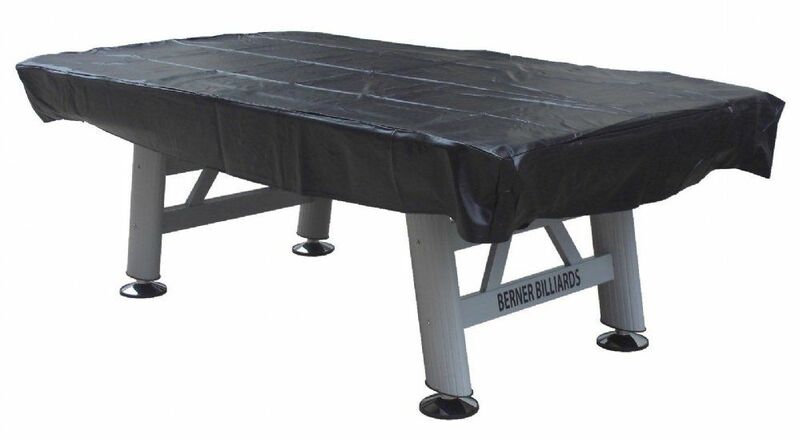 •Leg levelers in zinc alloy with anti-rust chromium plating to ensure a perfectly flat playing field on uneven grounds. •Special playing surface in 1" thick fiberglass suitable for outdoor use, covered with weather proof and uv resistant blue cloth. •Cushion rails in natural rubber with K-66 profile, to provide accurate ball rebound. •2 year warranty against manufacturer defects. 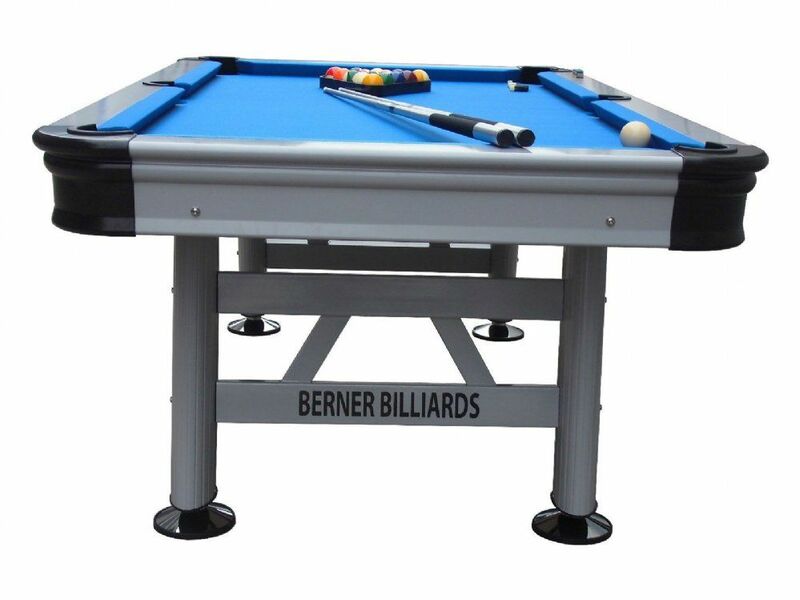 We can usually deliver & install this pool table with in 3-5 Business days in the Miami & South Florida Area.